Automakers are offering more conventional cars that cross the 40-miles-per-gallon threshold in highway driving, but relatively low gas prices continue to hold off buyers. "When gas is cheap, no one is going to be rushing out to buy a small car," says Gabriel Shenhar, senior auto test engineer for Consumer Reports. But automakers are keenly aware of how many were caught short in 2008 when gas prices shot up to a $4.14 per gallon peak in July, so they are adding 40-mpg cars as a hedge. 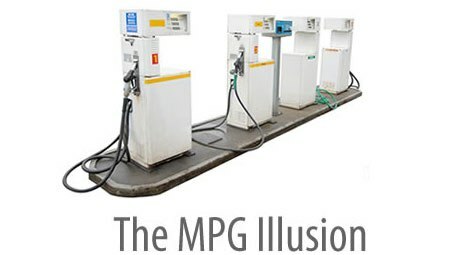 In past years, few models were able to get a 40-mpg rating without using more expensive hybrid or diesel technology. Now automakers are starting to show they can hit that mark with improved conventional gasoline powertrains for a smaller price premium — or none. "We found that 40 (mpg) is the new 30. Everyone wants great fuel mileage," Chevrolet spokeswoman Lesley Hettinger says. Ethanol corrodes engines, reduces miles per gallon (MPG) performance, and has a terrible environmental record. No wonder Al Gore, a previous supporter, has stated, “[E]thanol, I think, was a mistake.” As for current Secretary of Energy and Nobel Prize recipient Steven Chu: “Ethanol is not an ideal transportation fuel.” To an extent, even the EPA agrees. Finally, ethanol has a mediocre environmental mandate. Some studies have concluded that ethanol increases greenhouse gases (GHG) and is a net energy loser. The Congressional Budget Office found that ethanol cut GHG emissions at a cost of $750 per ton. This might sound laudable but the cost of one ton of GHG is roughly $19, according to the European Climate Exchange. Fortunately, a groundswell of opposition is starting to form in the Senate. Seventeen senators from across the ideological spectrum (Tom Coburn (R-Okla.) to Dianne Feinstein (D-Calif.)) are opposed to the current policy that showers ethanol with every conceivable protection. They wrote, “Historically our government has helped a product compete in one of three ways: subsidize it, protect it from competition, or require its use. We understand that ethanol may be the only product receiving all three forms of support from the U.S. government at this time.” Leave it to Congress to break all the wrong records.